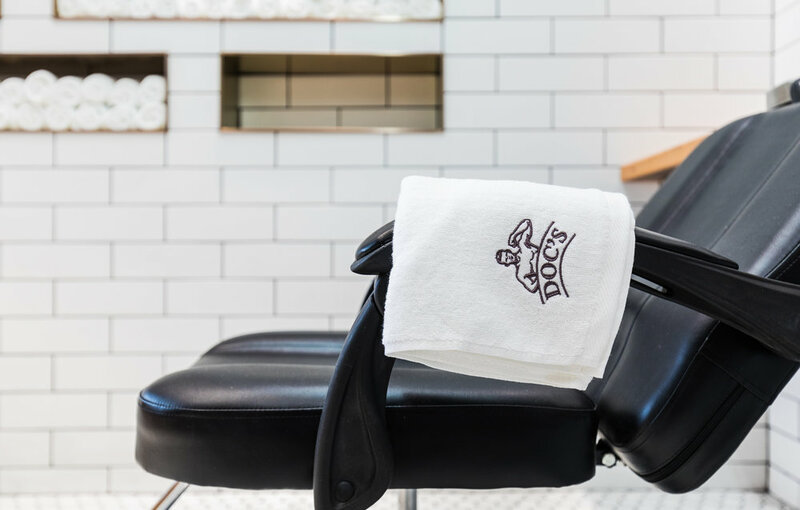 Doc’s is inspired by the old fashioned barbershops of the early 1900s. 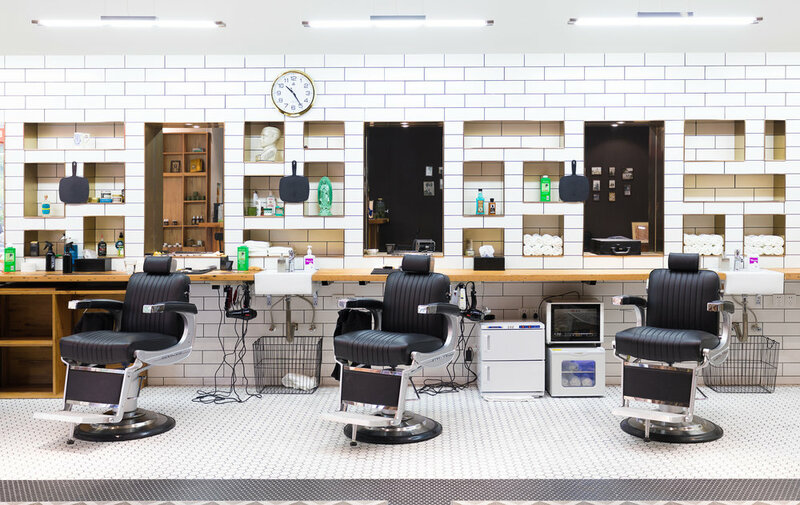 White subway tiles line the walls, accentuated with recessed shelves to create a modern space with nostalgia for a time when a trip to the barbershop was a social event rather than a necessity of personal grooming. Located on the ground floor of a hotel and residence, the barbershop creates a relaxed space for casual conversation. A local artist hand painted the logo on the main entrance, which is based on Doc Guthrie, the grandfather of the client and namesake of the project. Individual barber stations are equipped with recessed mirrors and shelving where specialty products and decorations can be displayed. Pattern tiles on the floor align with the coffered ceiling above, dividing the shop into a working barber area and a social area.